I was rambling in the streets of Kathmandu when a stray dog started leading my way one day. I decided to follow him. Yes, I said I decided to follow a stray dog. Because I was like him. After some five minutes, the dog stopped, turned his head back, raised his eyes up to mine, blinked once and resumed his journey again. Maybe he was glad that he found a partner! I kept following him. Sometime later, a next dog from the verandah of a house barked towards him. There was no reason. As soon as he saw, he started barking. I wished I could understand their language and know what that elite dog barked for! But my partner did not care. He did his dog-business at one of the corners of the gate and moved. And I loved that. He always became the leader and me, the follower. I would advance for a short time when he stopped for his dog-business but he would leave me behind in no time. It went on like that until he saw some other dogs playing on a ground, and twisted his move towards them. Oh, I had thought that he was just wandering, nowhere to go. Like me. But he had an aim? An aim to reach to his companions? He moved towards them and they discussed something I did not understand. “Did you really have an aim?” I wished to ask. “Has he headed here? Has he really aimed this location or just because he meets someone to get engaged with, he’s stopping here? Is that why he did not argue with that elite dog who barked at him? Because he knows that he wouldn’t reach his destination in time if he started debating with each of the dogs that bark at him?” Again, I wished I could understand and speak their language. Will I ever find some place/people to get engaged with? Like this dog? I just leant against a wall and watched them with a blank mind for a long time. None of them cared my presence. Being ignored by somebody who you think cares you is the worst feeling. Some swallows flew over my head. I shifted my gaze towards them. My eyes swooped with them in the sky for a long time. I heard some giggles. I turned around. On the other side of the road, just beyond the footpath, there was a park, The Fiction Park. A couple was laying down facing towards the sky. She raised her hand and pointed towards the sky. He did the same. I looked up to see what it was. There was only a moon in the deep blue sky, smiling. Maybe because the moon also heard their plans she was smiling. I smiled with the moon for some time. But I could not stop from bursting into laughter for long. The couple stood up and moved away. I heard a faint, flute melody far away. But that faded in no time. Maybe, the gust of the wind that just passed away brought it! I turned towards the swooping swallows. But they also had already flown out of sight. “Oh, where am I going?” I got confused. “Ah, I was following him. The dog. Where would a derelict go!” But now, the dog had met his companions. When he met his companions, why would he give a damn care to me! He did not even turn back to look at me now. I expected that he, at least, turned towards me once, and felt sorry that he was no longer my friend. I was alone. Left alone even by a stray dog! Nobody cares a derelict. Not even stray dogs! There was no point in staying there. There was no point in leaving the place either because I had nowhere to go. 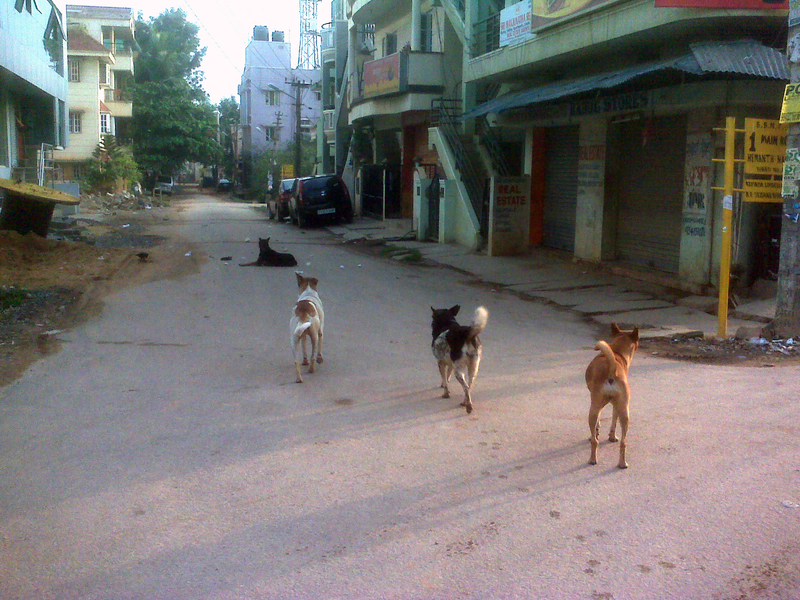 But I did not feel like staying in the place where I was being ignored even by stray dogs. I moved. Moved towards a place I found yesterday, nearby a temple, where I could sleep comfortably and could even get something to eat if the prayers were kind enough like the day before. But, to my great surprise, the dog came following me. I became speechless. Even if I had something to say, he would not understand. This time, he only followed me. If I stopped, he would stop and look up at my eyes and down to the ground as if he was looking for something around. I kept leading and he kept following me until we reached my destination this time. There was nobody. I lay down. I saw the moon again. I recalled the couple’s plans and laughed again. The dog sat beside my feet. Sometime later, in the evening, I got two loaves of bread from a prayer. I gave one to the dog and ate one. Had I not given him a single piece, he would have neither demanded, nor protested. I just felt like giving a whole. I didn’t know why. That was all for our dinner that day. And we slept. Early in the morning, the dog got up. I got up. He looked at me as if he was ready. Does he want to go for a morning walk? “Hey! Jungey, wait!” I heard like someone calling me. I turned back. There was a fat man jogging hastily. “How did this man know my name? I don’t think I have seen him before. I don’t even know who named me Jungey. Who is this man actually?” I stood still, confused and waited for him. There was nobody to lead my way. This entry was posted in - ENGLISH -, Footpath University / फूटपाथ विश्वविद्यालय, Literature / साहित्य and tagged destination, dogs, fiction, footpath, Footpath university, journey, learnings, story. Bookmark the permalink.